Thanks for your interest in writing for spensdriod, having in mind that as a blogger or an author, writing or submitting a guest post would expose your blog or business to many audience around the world, and bare in mind that every post accepted on this blog remains live. Before submitting any guest post, bare in mind that this rules should not be broken in any form, because failure to adhere to this rules will result to your post not being published on this site. Articles to be submitted to spensdriod should be long enough containing 350 or more words, and must not be spin articles, any spin article submitted would be declined so always submit a unique post and be free from plagiarism. Post submitted on spensdriod should not have any inbound links linking to your website, and also no form of link for advert should be added in the guest post to be submitted. Articles telling the world how great you are or an author is not allowed or would not be accepted in this blog. Post to be submitted on spensdriod should have an author bio at the end of the article to be submitted including a social media account. And note all other link to your website should be added to the author bio. And finally note that every post submitted to spensdriod, the admin has the full right to remove links, edit post, decline post. 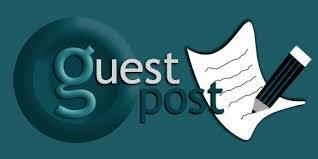 All post should be submitted to Spensdriodblog@gmail.com as an attachment with subject as ‘Guest Post’. Every post submitted would be reviewed to see if it meet our post standard, if so you would receive an email on a date that would be fixed to publish your post giving you time to prepare for the post. Thank you once more for your interest in writing and contributing to spensdriod.com, bare in mind that every post that has been reviewed and has met up to our standard would be publish and remain live as long as this blog exists. You can also promote your firms on spensdriod, we promote individuals, organizations, stores, company products and much more through sponsored writing, and this sponsored post can be written either by you or me which would be published on spensdriod and also shared to our fan pages. You should note that every sponsored post submitted and published on this website remains live as long as this website exists. Sponsored Banner stays as long as you want it to stay and any type of banner is accepted here as long as it complies to our requirement. You or I will write the sponsored post and ones it has been reviewed and accepted you will receive a message to your email and will start to see the post live. NOTE: Payment is required before posts go live on our website. In addition, we do not allow articles with links to gambling sites. Payoneer, Wire or bank transfer, Paypal. Thanks once more for your interest in writing and working with us at spensdriod.